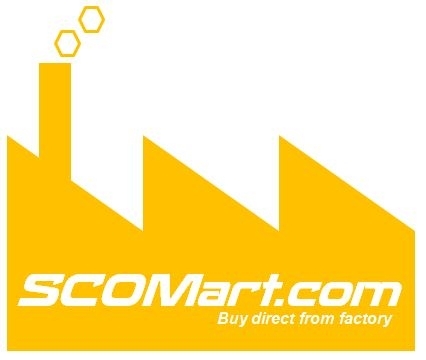 Welcome to SCOmart.com, SCOrigin.com, SolarPower-Mart.com, SolarLight-Mart.com, FarmTech-Mart.com (the Websites). These Websites are owned and operated by SC Origin (M) Sdn Bhd, its affiliates, agents, and licensors (collectively, “we”, “us”, “our” or “SC Origin”). You understand that your use of these Websites constitutes your consent to, and agreement to, abide by the most current version of these terms and conditions (the “Terms”). We may at anytime revise these terms and conditions by updating the Terms. You agree to be bound by subsequent revisions and agree to review the Terms periodically for changes to the terms and conditions. The most up to date version of the Terms will always be available for your review upon request. We may also offer other services from time to time that are governed by different and/ or additional terms and conditions. Payment Terms Orders: An order is not binding upon SC Origin until it is accepted; SC Origin must receive payment before it will accept an order. Payment for product(s) ordered is due prior to shipment. Customer can make payment by few methods. You agree to pay the amount(s) due as specified on the invoice, and you agree to pay interest on all past-due sums at a rate of 1.5% per month or the highest rate allowed by Malaysia law, whichever is greater. Shipping Charges: Your total cost for purchase of any product will include shipping and handling charges shown on the invoice. By accepting delivery of any product delivered from SC Origin, you ("Customer") agree to be bound by the terms and conditions listed below. You and SC Origin agree that the following terms and conditions are the exclusive terms governing the sales transaction between Customer and SC Origin. Any attempt to alter, supplement, modify or amend these terms and conditions by the Customer will be considered a material alteration of this agreement and, therefore, are null and void. In addition, these terms and conditions are subject to change at any time, without prior written notice. Therefore, please check these terms and conditions carefully each time you place an order with or accept delivery of any goods from SC Origin. You can expect your order to be processed within approximately one business day. Expected ship times vary depending on stock availability. If you need an item by a certain date please ask your sales person to check on the expected ship date. In most cases expected ship dates for all items will be emailed to you within 24 hours of the time that your order is accepted. Tracking information will also be emailed to you once your items ship. We ship internationally, to most destinations. When you are provided with shipping charges for your order, please bear in mind that this is for the transportation only! This does not include any duties, taxes or brokerage fees. In most cases, duties and taxes will be due upon delivery, and must be paid to the carrier in order to receive your product. If you refuse the delivery, you will be charged for transportation charges both to you and returning to us. SC Origin will do everything possible to keep you informed of your order via e-mail. Your tracking number will be emailed to you once the item is shipped. You may also check online status page for live updates. SC Origin respects your privacy. We will not under any circumstances sell or release your information to anyone. All of the information obtained from our web site will be used for internal purposes only. To cancel your order, please call during our normal business hours and speak with your Sales Advisor or someone in our customer support department. Provided your order has not yet been processed, and your credit card has not been charged there is no fee. If your order has already been processed and your card was charged, there is a 5% cancellation fee deducted from your refund. If any portion of your order has shipped, a 15% restocking fee will be deducted from your refund. The refund will occur within 7 working days of the receipt of the cancellation and the return of all products that have shipped. Many of our products are custom built. 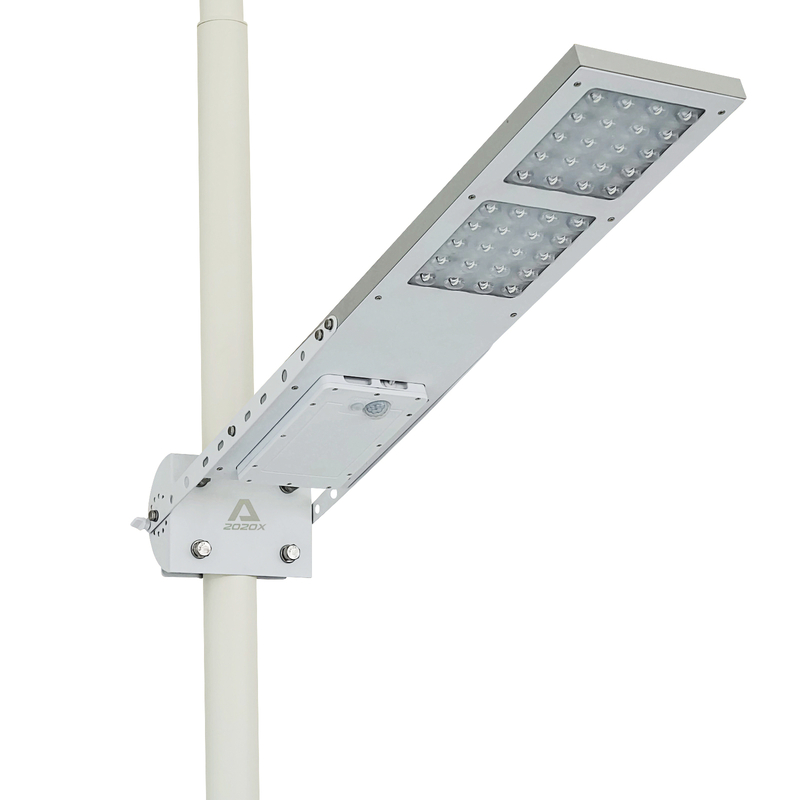 These items include but are not limited to power panels, battery boxes, many solar auxiliary products, trackers, and batteries. If you need to cancel an order for any of these products there is a cancellation fee even if the item has not shipped. The cancellation fee will vary depending on the manufacturer but may be as much as 30% of the cost of the item. This fee is the same fee that manufacturers pass onto us for canceling the order. If you use these Websites, you are responsible for maintaining the confidentiality of your account and password and for restricting access to your computer, and you agree to accept responsibility for all activities that occur under your account or password. If you are under 18, you may use these Websites only with involvement of a parent or guardian. We reserve the right to refuse service, terminate accounts, remove or edit content in our sole discretion. SC Origin attempts to be as accurate as possible. However, we do not warrant that product descriptions or other content or such other information of these Websites are accurate, complete, reliable, current, or error-free. THESE WEBSITES AND ALL INFORMATION, CONTENT, MATERIALS, PRODUCT RELATED INFORMATION (INCLUDING SOFTWARE) AND SERVICES INCLUDED ON OR OTHERWISE MADE AVAILABLE TO YOU THROUGH THESE WEBSITES ARE PROVIDED BY SC ORIGIN ON AN "AS IS" AND "AS AVAILABLE" BASIS, UNLESS OTHERWISE SPECIFIED IN WRITING. SC ORIGIN MAKES NO REPRESENTATIONS OR WARRANTIES OF ANY KIND, EXPRESS OR IMPLIED, AS TO THE OPERATION OF THESE WEBSITES OR THE INFORMATION, CONTENT, MATERIALS, PRODUCT RELATED INFORMATION (INCLUDING SOFTWARE) OR SERVICES INCLUDED ON OR OTHERWISE MADE AVAILABLE TO YOU THROUGH THESE WEBSITES, UNLESS OTHERWISE SPECIFIED IN WRITING. YOU EXPRESSLY AGREE THAT YOUR USE OF THESE WEBSITES IS AT YOUR SOLE RISK. TO THE FULL EXTENT PERMISSIBLE BY APPLICABLE MALAYSIA LAW, SC ORIGIN DISCLAIMS ALL WARRANTIES, EXPRESS OR IMPLIED, INCLUDING, BUT NOT LIMITED TO, IMPLIED WARRANTIES OF MERCHANTABILITY AND FITNESS FOR A PARTICULAR PURPOSE. SC ORIGIN DOES NOT WARRANT THAT THESE WEBSITES; INFORMATION, CONTENT, MATERIALS, PRODUCT RELATED INFORMATION (INCLUDING SOFTWARE) OR SERVICES INCLUDED ON OR OTHERWISE MADE AVAILABLE TO YOU THROUGH THESE WEBSITES; THEIR SERVERS; OR ELECTRONIC COMMUNICATIONS SENT FROM THESE WEBSITES ARE FREE OF VIRUSES OR OTHER HARMFUL COMPONENTS. SC ORIGIN WILL NOT BE LIABLE FOR ANY DAMAGES OF ANY KIND ARISING FROM THE USE OF THESE WEBSITES OR FROM ANY INFORMATION, CONTENT, MATERIALS, PRODUCT RELATED INFORMATION (INCLUDING SOFTWARE) OR SERVICES OR PRICE INCLUDED ON OR OTHERWISE MADE AVAILABLE TO YOU THROUGH THESE WEBSITES, INCLUDING, BUT NOT LIMITED TO DIRECT, INDIRECT, INCIDENTAL, PUNITIVE, AND CONSEQUENTIAL DAMAGES, UNLESS OTHERWISE SPECIFIED IN WRITING. IN ALL CIRCUMSTANCES SC ORIGIN'S MAXIMUM LIABILITY IS LIMITED TO THE PURCHASE PRICE OF THE PRODUCTS SOLD. SC ORIGIN SHALL NOT, UNDER ANY CIRCUMSTANCES, BE LIABLE UPON A CLAIM OR ACTION IN CONTRACT, TORT, INDEMNITY OR CONTRIBUTION, OR OTHER CLAIMS RELATING TO THE PRODUCTS IT SELLS WHICH EXCEEDS THIS LIABILITY LIMIT. SC ORIGIN SHALL NOT BE LIABLE FOR THIRD PARTY CLAIMS FOR DAMAGES AGAINST THE CUSTOMER, OR FOR MALFUNCTION, DELAYS, INTERRUPTION OF SERVICE, LOSS OF BUSINESS, LOSS OR DAMAGE TO EXEMPLARY DAMAGES, WHETHER OR NOT SC ORIGIN IS APPRISED OF THE POSSIBILITY OF SUCH CLAIMS OR DAMAGES. You shall indemnify and hold harmless SC Origin, its officers, directors, shareholders, subsidiaries, and employees from and against any and all costs, damages, liabilities, and expenses (including attorneys' fees) incurred in relation to, arising from, or for the purpose of avoiding, any claim or demand from a third party in connection whether direct or indirect with your use of the products and Websites. Your use of these Websites, services, materials, and information contained therein is at your own risk. Neither SC Origin nor its affiliates, agents, or licensors shall be liable in any way for delays, failures in performance, loss or damages due to any of the following force majeure conditions: fire, strike, embargo, explosion, power blackout, earthquake, volcanic action, flood, war, water, the elements, labor disputes, civil disturbance, government requirement, civil or military authority, acts of God, public enemy, inability to secure products, transportation, facilities, acts of omission of carriers or other causes beyond its reasonable control whether or not similar to the foregoing.